In the following guide, we aim to answer that question by offering an in-depth review of the best camping toilet currently on the market and a detailed analysis of what goes into the making of the ideal toilet for every type of camping. Let’s start off with our top picks of the best portable toilets per category for 2019. How to Choose a Camping Toilet? 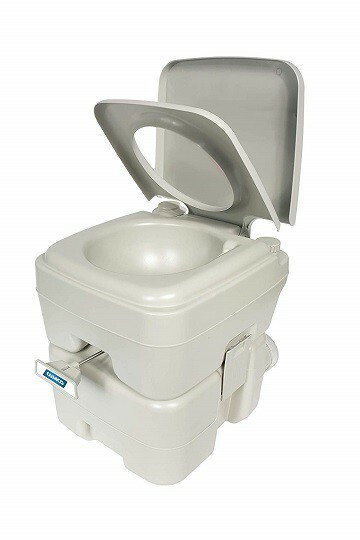 Sanitation Equipment’s Visa Potty is our choice for the best overall camping toilet thanks to its combination of features, price, and usability. The Visa Potty Model 248 comes in both an 18 liter and 24 liter model, which is the total capacity of the waste holding tank. We’ve found that the 18 liter model is the best choice for most campers who need a toilet for a few people over the course of a couple days. However, feel free to upgrade to the 24 liter model if you’re camping with a lot of people or if you’ll be camping over for a while. The 18 liter Visa Potty has an additional fresh water tank that holds 14 liters or 3.7 gallons. This fresh water tank is what will be used to flush the toilet after use. The Visa uses a piston pump connected to bi-directional nozzles for flushing. The piston pump works by first raising the lever and then pressing it down. Emptying the Visa Potty requires you to lift off the top half of the toilet, which will allow you to move easily carry and empty the bottom waste holding tank. You’ll then attach the included pipe onto the holding tank to have control while dumping the toilet, though you can choose to empty it directly without the pipe. We think the Visa Potty would be perfect for any camper that wants their camping toilet to be as similar to a standard toilet as possible. It’s also an excellent choice for campers that want a versatile portable toilet that they can use during emergencies (i.e. power outage) or in their RVs or campers. Although there have been some complaints about the cleaning process being potentially messy, we’ve found that as long as you follow the manufacturer’s instructions carefully you shouldn’t have an issue. Lastly, if you’re camping with young kids you may need to help them with flushing as the pull up and pump down handle does require a little strength. The Camco Standard Portable Travel Toilet has overall 1,200 reviews and a solid 4.3 out of 5 star rating on Amazon. As we dove deeper into the features of this model it was easy to see why it’s a fan favorite and would be excellent as a camping toilet. As mentioned earlier on in our Quick Rundown table, this Camco portable toilet does come in both Standard and Premium. For the sake of this review, we’ll be focusing on the Standard model, which we feel offers plenty of advantages to campers without the heftier price tag of upgrading to Premium. Camco offers its Standard Portable Toilet in 2.6 gallon or 5.3 gallon capacity, which is the size of the waste holding tank. Despite the difference in waste holding tank size, both models with a 2.5 gallon fresh water flush tank. We’ve found that if a few adults will be using the toilet, it’s best to go with the 5.3 gallon model. The smaller 2.6 gallon can still be a useful choice for a couple or if you don’t mind emptying the holding tank every day. We recommend the Campco Standard Portable toilet for campers that want a larger capacity camping toilet (5.6 gallon) without breaking the bank. The smaller 2.6 gallon is an equally great choice for campers that want as small of a portable toilet as possible, without sacrificing comfort. Based on our research, we encourage campers to reseat the seal of their Campco Standard prior to use to ensure no leakage. As with any camping toilet, using a deodorizer is highly recommended to keep smells at bay. The Dometic Portable Toilet is our Alternative pick for campers that are still searching for that perfect RV-style camping toilet that feels like the real deal. Although it didn’t win Best Overall, the Dometic Portable Toilet can still be a great choice for some campers. We’ve found this model to be quite durable and made of a heavy ABS material. While ABS housing makes the Dometic Portable really tough, it also makes it a couple pounds heavier than most other portable toilets. One interesting feature of the Dometic Portable Toilet is that it has a push button flushing system. This camping toilet requires fewer pumps to pressurize and, when ready, it only takes a press of the button to flush efficiently. We recommend the Dometic Portable Toilet for car campers that don’t need a very lightweight toilet. The lack of a water level indicator and a somewhat unreliable waste level indicator could potentially be an issue, but since the average camper will be emptying their portable toilet every day or every couple of days, this shouldn’t be a significant concern. All-in-one systems can be a real boon for new campers that want to save some money and have the convenience of purchasing everything needed in one stop. For this reason, we chose the Cleanwaste Go Anywhere Complete Portable Toilet System as the best option for portable toilets designed specifically for camping. 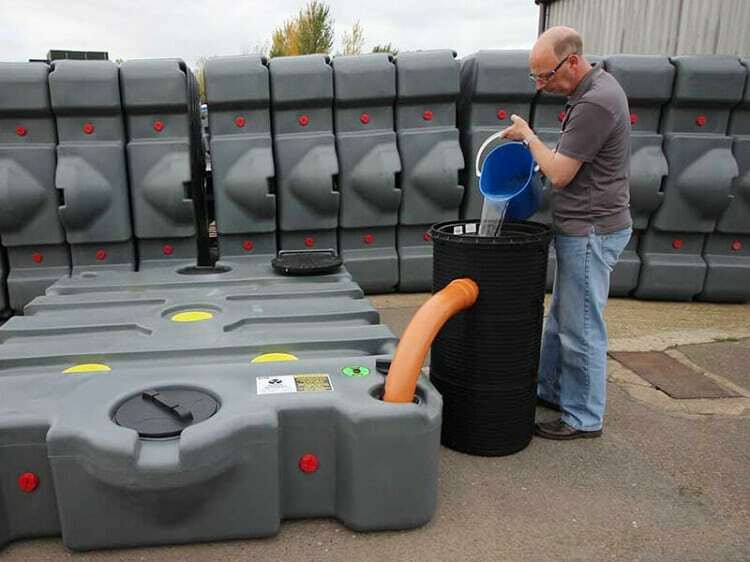 As the product name suggests, the Cleanwaste Go Anywhere System is a toilet system comprised of everything you need for a private bathroom in the woods. This system comes with a privacy tent, portable toilet, fifteen waste kits for the toilet, and a backpack to store it all. 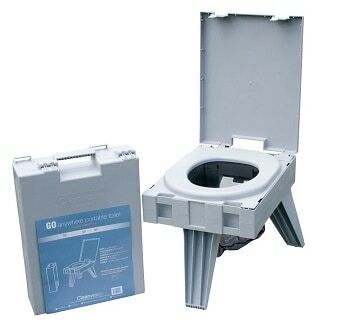 Unlike the previous models, which look like an RV-style toilet, the Go Anywhere toilet has a very minimalist design of a true camping toilet. The toilet itself is really just a frame for sitting on with waste disposal bags situated below. This simplifies waste disposal and also means you won’t need to deal with the potentially messy and, if we’re being honest, icky experience of dumping a standard portable toilet. We highly recommend every camper consider the Cleanwaste Go Anywhere System if they’re looking for an all-inclusive product and value portability. You will need to be careful with the shelter if you’re in a windy area (i.e. stake it down with guy lines) but this is usually a significant issue for the average camper. You will be relying on disposable bags rather than a waste reservoir, but we find that many campers prefer this method for overall cleanliness. Folding portable toilets are the epitome of true camping toilets since they are about as compact and lightweight as you can get. Similarly to the portable toilet in the Cleanwaste system, the Reliance Products Fold-to-Go Collapsible Toliet is equally no-frills and easy to use. When you already have a privacy shelter and you’d rather use your own disposable bags, the Fold-to-Go Collapsible Toliet is the way to go. This model folds down completely and has a built-in carry handle. While it might look bare in terms of construction, this is a surprisingly strong portable toilet capable of holding 300 lbs. The locking legs give you an extra sense of security as well. Reliance Products includes one free Double Doodie bag with purchase of the Fold-to-Go, though we’ve found that you can use most standard waste bags designed for toilets with this model. The Fold-to-Go Collapsible Portable Toliet is really so basic in design that it makes it an easy choice for campers that want something inexpensive, effective, and well-built. There really are no issues with it, with perhaps the only con being that Reliance only includes one of their waste disposal bags with purchase. However, we’ve found that Reliance’s Double Doodie bags are less expensive than similar waste disposal bags. Since your portable camping toilet is going to have a very important function during your camping trip, it’s worth it to carefully research different models before selecting one. Even though we’re confident in our Top 5 Best Picks, we also know first-hand that one person’s perfect portable toilet might be inappropriate for another’s circumstances. With this in mind, we’d like to give you a overview of the main three factors to consider when choosing a camping toilet. When it comes to what size camping toilet you need, you’ll have to consider the size of the toilet itself and the waste capacity. The size of the toilet will dictate how comfortable you’ll be when sitting. The height will be the most important factor since too low of a toilet might leave you feeling like you have to squat. The standard American toilet is about 14″ to 16″ hight from the floor to the seat or rim. If you want maximum comfort then a portable toilet should be around this high as well. Thankfully most manufacturers keep their portable models around the 14″ to 15″ mark. As far as waste capacity goes, the larger the capacity the more people it can handle and the longer you can go with emptying it. However, keep in mind that odors will develop if you go a long while without emptying your portable toilet. For this reason, a larger waste capacity isn’t always a good thing. It’s better to buy a camping toilet with a waste capacity matched to how many will be using the toilet so you’re not overpaying for a larger model than you really need. Ease of use might be one of the most important factors in choosing a portable toilet. Ease of use can relate to a number of different things, such as flushing ability, how much pressure is required to pump for flushing, how easy the waste compartment is to empty, and how easy the portable toilet is for setting up. 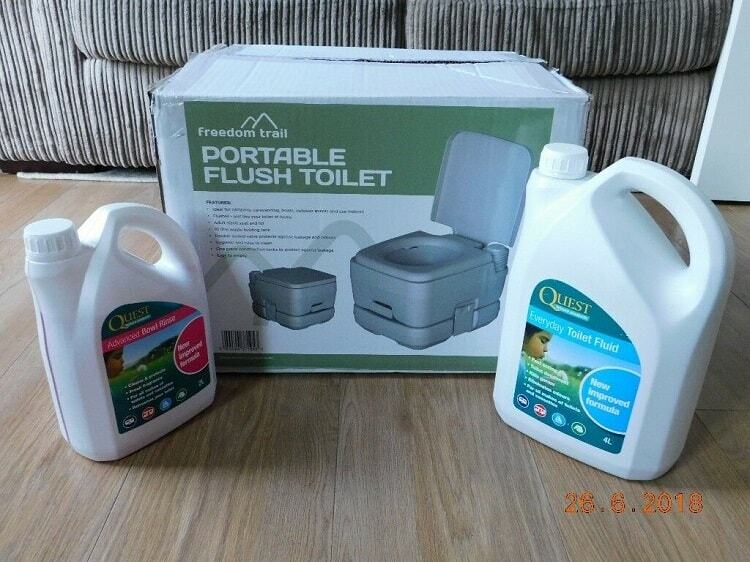 The ideal portable toilet will be easy to flush or use disposable waste bags. If it’s a flushable portable, a two or three directional water valves will really help to get the bowl as clean as possible. Most flushable camping toilets don’t take a lot of pressure to pump for average adults, but low-pressure pumps will be ideal for campers with younger kids. Finally, before you purchase any portable toilet be sure it has an easy to empty design. If your toilet doesn’t use waste bags you want to be sure the waste reservoir allows for easy, effective emptying. When you’re investing in any piece of camping equipment, you don’t want to waste your money on something that is destined to break because of poor design or subpar materials. Poorly made camping toilets may have handles break, pumps break, seals weaken and leak, or have the legs break entirely. Look for camping toilets that are made of durable plastics, like ABS, with minimal mechanical features. It’s also wise to select a model that comes with a manufacturer warranty. Still not sure about how to use a camping toilet? We’ve compiled a list of answers to some of the most commonly asked questions about camping toilets. How do you empty a portable toilet? Emptying a portable toilet isn’t usually a difficult process. Folding, camp-style toilets that use waste bags allow you easily detach the bag and tie it up. RV-style portable toilets with a waste container typically detach from the seat to allow you to more easily maneuver it for emptying. They may empty out of a port or through a pipe for better control. How comfortable are portable toilets? If you’ve never used a portable toilet you might be skeptical at how comfortable they are. We’re happy to tell you that the majority of camping toilets are quite comfortable to use and take little getting used to. Some seats are smaller than standard toilets, but usually only for the more compact models. Stick with a height that’s around 14″ to 16″ if you want an experience close to using a household toilet. What is the max supported weight of most models? Most camping toilets can easily hold a typical man. Maximum weighs for RV-style toilets can be as much as 350lbs while folding toilets might have a lower weight limit of 200-250lbs. If you weigh over 200lbs it’s important to double-check maximum weight on any portable toilet you’re interested in purchasing. How do you dispose of camping toilet waste? Always take any and all garbage and waste with you when you leave the campgrounds, including toilet waste. Camping toilets with a waste holding tank can be emptied at most RV dump stations. Disposable waste bags can also be disposed of at special receptacles at RV dump stations or landfills. How often should they be cleaned? How often cleaning needs to be done depends on the style of camping toilet and how many people are using it. RV-style portable toilets being used by two adults may be able to go the whole weekend camping trip without being emptied. Naturally the more people you have using it, the more you’ll need to empty it. Folding camping toilets that use was waste disposal bags may be able to be used one to three times being needing to be replaced. Some campers only use their camping toilets for solid waste, which does help cut back on how often they’ll need to be emptied. After every camping trip is finished and you’re back home, you should completely clean and sanitize your camping toilet from top to bottom. You certainly don’t want any bacteria or germs lingering around. What is a chemical toilet for camping? The term “chemical toilet” might sound odd at first, but is simply another name for RV-style toilets that use a chemical in the waste holding tank to minimize odors and help with a breakdown. Not all portable camping toilets are chemical toilets, even if they resemble one. However, most RV-style toilets allow users to add their own chemical deodorizers to the waste compartment. The chemicals used in these toilets varies between manufacturers, but the best options are additives that are non-toxic and biodegradable. What is the best toilet paper to use with a camping toilet? 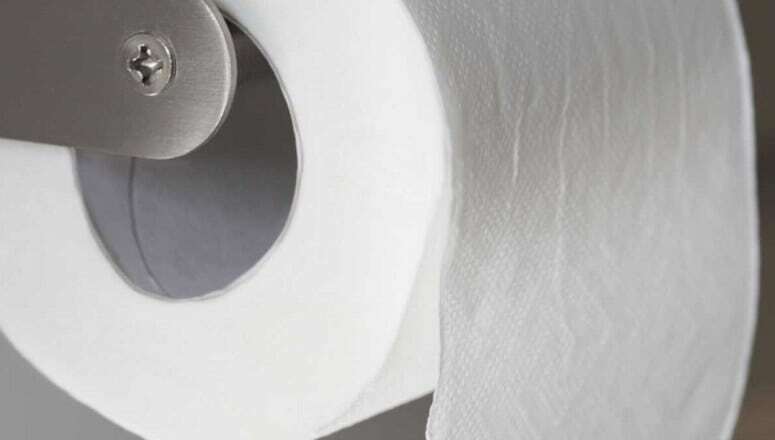 We recommend campers to use biodegradable toilet paper with their camping toilets, especially if you plan on dumping the waste at an RV dump station. You can also use fast dissolving toilet paper designed for RV toilet use. Standard single-ply toilet paper can work if you can’t find other options in stores. Roughing it without bathroom facilities might not be an issue at all for campers, but for those that don’t find the idea appealing, or have mobility limitations, we highly recommend going with a portable camping toilet. Rather than relying on campgrounds, purchasing a camping toilet will allow you the freedom to camp wherever you please rather than be tied down to what areas have bathrooms, outhouses, or port-o-potties. Not to mention the privacy and cleanliness of your personal makeshift bathroom is worth it for obvious reasons. 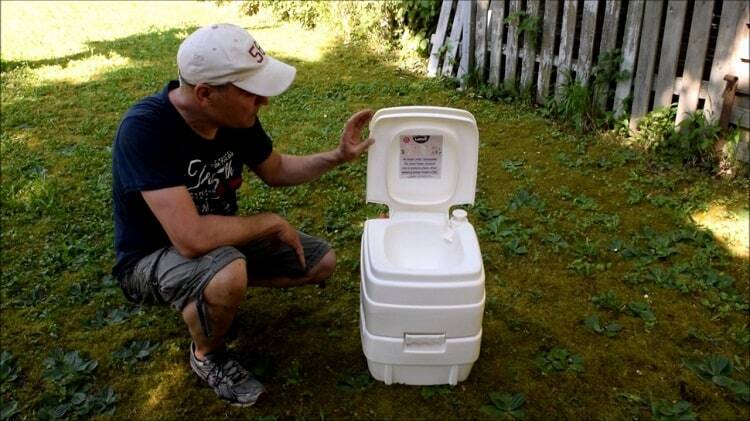 What do you think about portable toilets for camping? Have you ever used one and do you have a favorite model? We welcome you to share your thoughts in the comment section below.